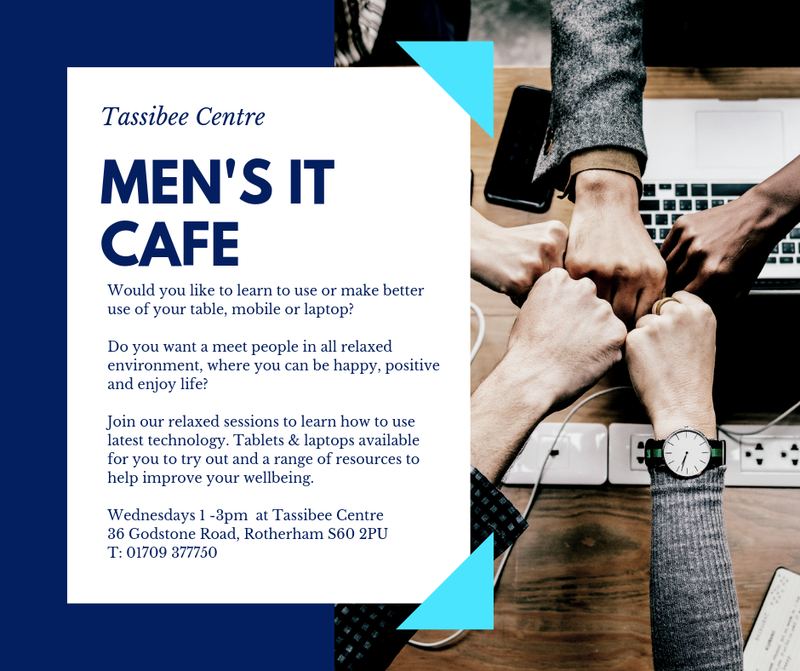 Great News Tassibee has been succesful in obtaining funding from RMBC, NHS England and Rotherham CCG to run a Men’s Health Project. We will be running a Men’s IT Café for 5 sessions starting Wednesday 10th April 1-3pm at Tassibee Centre. This will a relaxed session, where you can come along and get tailored support on using laptop, tablets and mobiles. We will have laptops and tablets available for you to try out. It is also an opportunity to improve your wellbeing. You may be a complete beginner or just want to try our new things. We will be repeating the sessions after Ramadam, dates to follow.